Mobile’s Down the Bay community has seen better days. Once a 19th century vacation destination, it was complete with parklands, carnival rides and access to the river. But later, according to Mobile Historic Development Commission Director Cart Blackwell, it was affected by the development of Brookley Field, the onslaught of the Great Depression and the city’s growth westward following World War II. Blackwell, who referred to it as “Mobile’s Coney Island,” said Down the Bay was also home to the city’s first race tracks and Monroe Park and Frascati Park — vacation spots for Mobilians until about 1930. “Citizens went there to have fun,” he said. Down the Bay was also the site of the original Country Club of Mobile and the Mobile Fairgrounds, Blackwell said. To this day, a lot of history remains in Down the Bay and the city’s Bloomberg I-Team intends to restore it and other neighborhoods east of Interstate 65 to their former glory. The group, which is funded by a $1.6 million grant from Bloomberg Philanthropies, has a goal to bring back some of the city’s oldest neighborhoods by removing years of blighted property, said recently appointed Executive Director Jeff Carter. Carter provided Lagniappe with an update on the I-Team’s progress after the sudden resignation of predecessor Joan Dunlap last month. One way to accomplish its goal is to speed up the process the city employs to remedy blighted properties, many of which suffer from years of neglect. 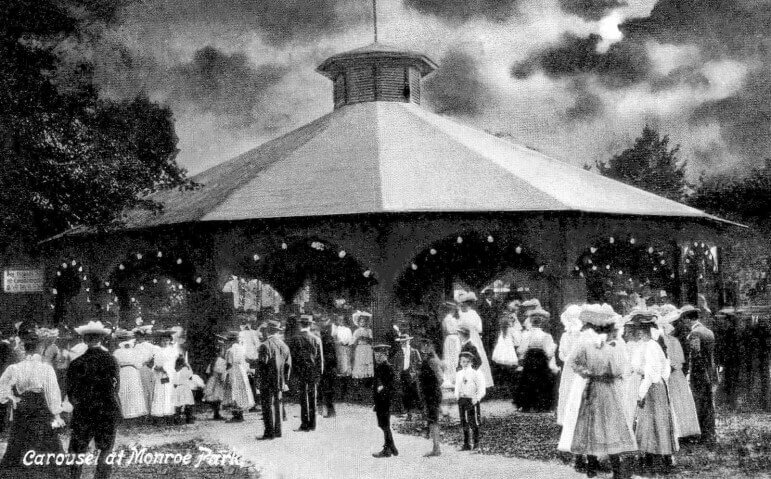 A carousel at Monroe Park in the Down the Bay community. 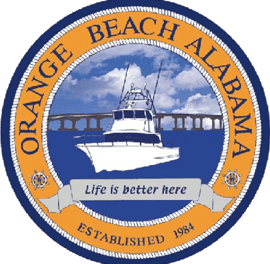 “Right now, the city of Mobile only has two tools to address blight and they are criminal based, where they ticket you for blight, or if they get really bad they can use the civil process, nuisance abatement,” Carter said. But those processes take anywhere from 220 days to 24 months to resolve and on the criminal side, there is about a 73 percent failure-to-appear rate in municipal environmental court, Carter said. As one example, Carter said many of the structures the team is dealing with are structurally sound — meaning two of the three structural components are intact — but insecure or accessible to trespassers. He said this can lead to the structures becoming havens for vagrants or criminal activity. The ordinance would also have the added benefit of bringing the owner to the table, which didn’t happen before. Mayor Sandy Stimpson said he’s in favor of changing the mechanism by which the city handles blight. In addition, Stimpson said the criminal system through environmental court “penalizes poverty” and the civil system would not. The change in procedure would also help the city better deal with bank-owned properties, Carter said, which currently cause a “huge” problem in the criminal system. Meanwhile, the I-Team and city have jointly trained the property maintenance department in the international property maintenance code. Allegedly, all of the initial steps will help achieve the I-Team’s goal to help the city reduce the impact of blight from 25 percent to 20 percent by 2017. The I-Team is currently reviewing 1,256 properties in its blight index to help detect the degree of blight and what steps would be taken to fix each property. Those properties make up 2.2 percent of the city’s housing stock, Carter said. They are within a 150-foot radius of 13,000 structures representing 25 percent of the housing stock, he said. Not all of those 1,256 structures will need to be demolished. In fact, the majority of them, or 85 percent, should be able to be repaired and put back on the market, Carter said. The kickoff comes with the launch of a new website with a wealth of information, not only on the team itself but on the history of the 19 neighborhoods east of I-65. Carter said I-Team members scoured three of the city’s archives and looked through “shoebox” photos to find evidence of what the neighborhoods used to look like. All of the website’s features can be accessed at www.iteammobile.org. This story was updated to correct the spelling of a park name.